In 2016 the Cubs snapped a 108-year curse, winning the World Series in a history-making, seven-game series against the Cleveland Indians. Of the many storylines to Chicago's fairytale season, one stood out: the late-career renaissance of David Ross, the 39-year-old catcher who had played back-up for 13 of his 15 pro seasons. 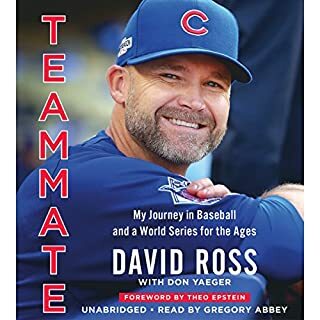 Beyond Ross's remarkably strong play, he became the ultimate positive force in the Cubs locker room, mentoring and motivating his fellow players, some of them nearly 20 years his junior. Before Pedro Martinez was the eight-time All-Star, three-time Cy Young Award winner, and World Series champion, before stadiums full of fans chanted his name, he was just a little kid from the Dominican Republic who sat under a mango tree and dreamed of playing pro ball. Now, in Pedro, the charismatic and always colorful pitcher opens up for the first time to tell his remarkable story. 12 is the propulsive story of this gritty comeback. It's a drama that unfolds in the locker room, the court room, and under the brightest lights in all of sports - the Super Bowl. Now for the first time, listeners will have an exclusive look into Tom Brady's experience and the NFL's shocking strangle-hold on their players. With unprecedented access to Brady himself, his teammates, and his lawyers, we will see just how a football legend went up against one of the largest corporations in the world to stage the greatest comeback in NFL history and emerge a god of the gridiron. Good book but not exactly breaking news. David "Big Papi" Ortiz is a baseball icon and one of the most popular figures ever to play the game. As a key part of the Boston Red Sox for 14 years, David has helped the team win three World Series, bringing back a storied franchise from "never wins" to "always wins". He helped them upend the doubts, the naysayers, and the nonbelievers and captured the imagination of millions of fans along the way, as he launched balls into the stands again and again and again. He made Boston and the Red Sox his home, his place of work, and his legacy. As he put it: This is our f*&#ing city. Now, looking back at the end of his legendary career, Ortiz opens up fully for the first time about his last two decades in the game. Unhindered by political correctness, Ortiz talks colorfully about his journey, from his poor upbringing in the Dominican Republic to when the expansion Florida Marlins passed up a chance to sign him due to what was essentially tennis elbow. He recalls his days in Peoria, Arizona, his first time in the United States; tense exchanges with Twins manager Tom Kelly in Minnesota; and his arrival in Boston. 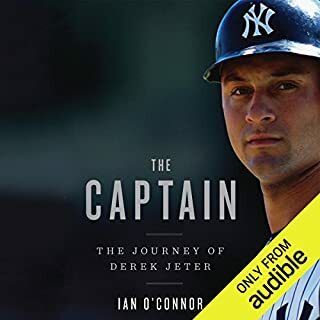 Listeners go behind the scenes for the many milestones of his Red Sox career - from the huge disappointment of the Red Sox losing to the Yankees in 2003, ending the curse in 2004 with the infamous "band of idiots", including his extraordinary clutch hitting to overcome a 3-0 series deficit against the Yankees, to earning a second title in 2007 and a third in 2013. 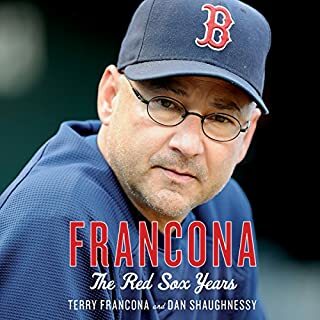 Along the way he was tainted by the infamous banned substances list in 2009; he used his passion and place to fortify a city devastated by the Boston Marathon bombings; and he dominated pitchers right up through his retirement season at age 40. Papi, as he became so affectionately called, gave his fans big hits when they needed them most. He was an even bigger presence: He was a champion who rallied a team, a city, and a sport in a way that no one will ever forget. 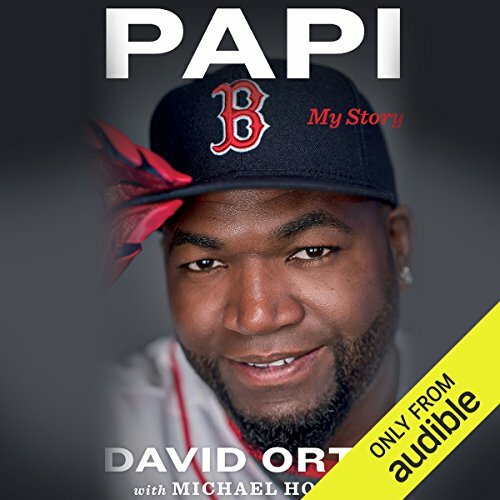 In Papi, his ultimate memoir, Ortiz opens up as never before about his life in baseball and about the problems he sees in Major League Baseball, about former teammates, opponents, coaches, and executives, and about the weight of expectation whenever he stepped up to the plate. The result is a revelatory, fly-on-the wall story of a career by a player with a lot to say at the end of his time in the game, a game to which he gave so much and which gave so much to him. ©2017 David Ortiz (P)2018 Audible, Inc. I really enjoyed this. well written and natiated. 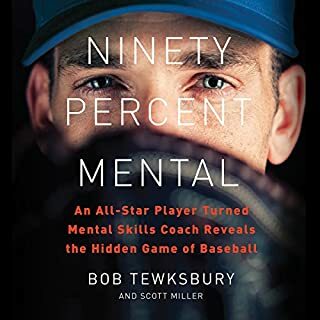 I learned new insight to my favorite player and some of the ebb and flow of the behind the scenes of baseball and the challenges it presents. If you love David Ortiz and baseball, buy it. David Ortiz is my favorite athlete, hands down. His incredible at bats against the Yankees during the ALCS are engrained in my mind. His book is a great listen, narrated by himself in many parts too. His book is a great balance of his personal life and his career. He is a really interesting guy. I only wish he talked a little bit more about the 2004 series with the Yankees, but I'm sure he has to talk about that all the time. Absolutely worth buying if you love baseball, Ortiz, or both! 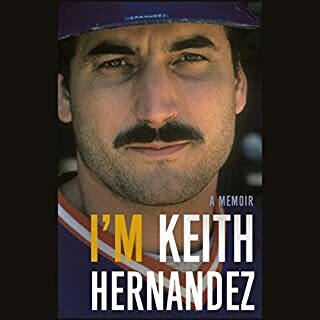 As Redsox fan I could visualize the situations explained in the book and loved the pure Papi that came through in this book!! 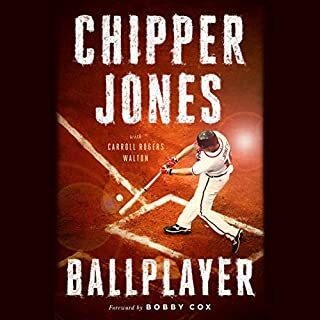 Recommend for all baseball lovers! Especially David Ortiz fans!! I really loved this book. It shows how great of a guy big Papi is. It takes you from the start of his career to the end with many tidbits of baseball life in Boston.